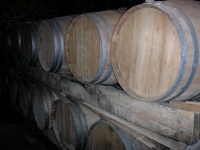 Liliane Gagnard has kept on with the family viticultural tradition, which started in 1852. This oenologist has been running her family vineyard since 1982. She keeps to the old traditions but also modern equipment to meet the demands of the customers. With a passion for wine she has followed the interest of wine connoisseurs, importers of wine and lovers of the Château Vieux Touron wine: Monbazillac, Côtes de Bergerac Moelleux and Bergerac red, dry and rosé. 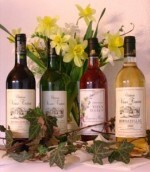 by Château Vieux Touron but also by the wine-growers of the region. A tasting room gives the opportunity for everybody to enjoy and study the wines. The vineyard covers 10 hectares and the total volume produced is 50.000 bottles a year only of the quality “A.O.C” Appellatation d’Origine Contrôlée: 15.000 bottles red wine & 35.000 bottles white wine.